The Wendy is a gorgeously understated bouquet of creamy white Asiatic lilies, hand-tied in contrasting paper and ribbon. 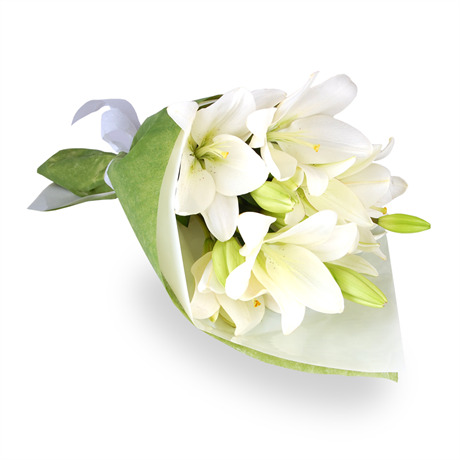 With petals purer than snow, this premium selection of lilies is suitable for all occasions and makes a graceful and refined gift. Asiatic lilies are among the most popular flowers in the world, and because of their lack of fragrance, they make ideal gifts for those with floral allergies or asthma.